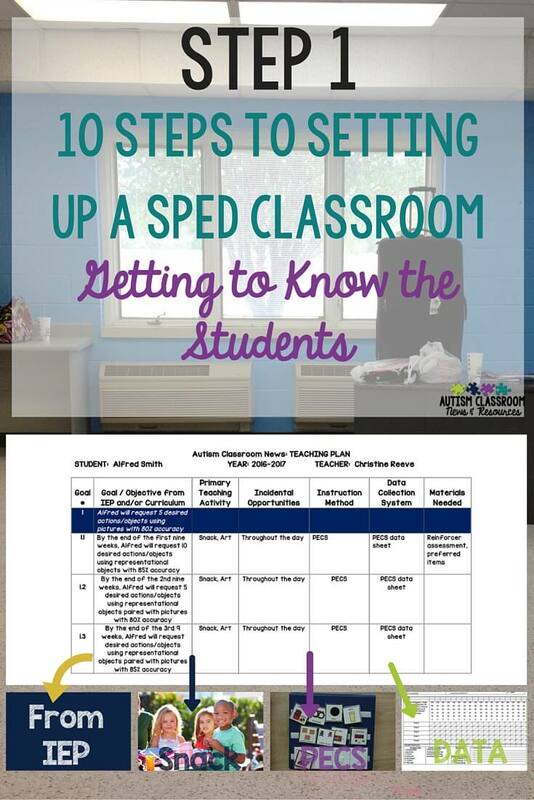 Step 1 in our 10 Steps to a Well-Run Special Education Classroom process is to create a teaching plan so you can get to know your students. Just keep singing “Getting to Know You” from The King and I (click the link if you don’t know what I’m talking about–but don’t tell me, I’ll feel old). As you may know I have launched a new series to get you ready for the new school year: 10 Steps to a Well-Run Special Education Classroom. This series is all about setting up the classroom at the beginning of the year so we are covering everything from getting to know the students to implementing effective strategies and data collection. To see a list of the steps we will cover, check out my last post and Facebook Live video. Getting to know the student is the most critical component of setting up the classroom and the student’s program. In special education classrooms that are resource or self-contained, the most important element is making sure we are meeting all the individual needs of our students. That means that from Day 1, we need to be implementing their IEPs and planning for them. So, step #1 is reviewing the student’s IEP. To put it in more practical terms, imagine that Sally has a behavior plan to keep her from engaging in self-injury. You don’t know this because you haven’t read her IEP because you want to get to know her first. Sally comes in on the first day of school and has a major self-injurious tantrum because her antecedent strategies from her behavior plan (that her previous team knew helped to keep her regulated) were not in place when she walked in your room. What are the consequences of this? First, Sally could be injured and her parents are going to want to know why her behavior plan wasn’t being followed in your classroom. Not only does this have consequences for Sally’s health, but it is not a way to start a trusting relationship with the family. In addition, Sally may now see your classroom as reinforcing for challenging behavior and breaking that cycle may be much more difficult after this episode. And all of it could be avoided if you had planned for Sally’s first day by getting to know what she needed when she walked in the door. I’ve talked about Teaching Plans when I’ve talked about CAPS in the past. You can read more about them in this post, in this video and post, and here for part 1 and here for part 2. In the past I’ve talked about CAPS and I’m going to talk about the original one when I talk about including students in general education settings. However, I have returned to my original Teaching Plan for self-contained and resource classrooms. I think the teaching plan format is less redundant and leads to how the classroom itself is developed. 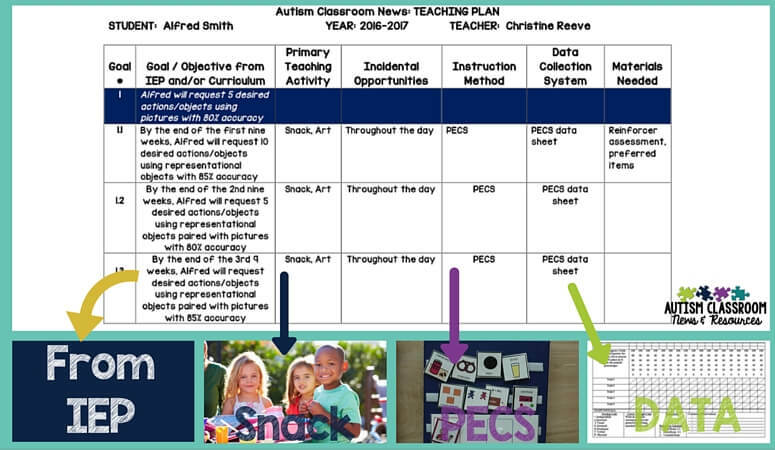 I developed teaching plans when I was running child study meetings (team meetings) with teachers and we would review the student’s IEPG goals each month. I quickly discovered that they struggled with talking about how they were teaching the student the skills. I would ask how they were teaching a student to initiate a request to a student. They would tell me, “in play area.” I would say, “That’s WHERE you are teaching the skill. HOW are your teaching the skill?” Some would tell me they were waiting for the student to demonstrate the skill so they could reinforce it. That’s closer, but it still doesn’t tell me how you are going to get him to demonstrate the skill. So, I developed the teaching plan to help us all walk through the process of thinking How and where/when skills would be taught, as well as how we would track them with data. The first step in completing the teaching plan is to record the goals and objectives. 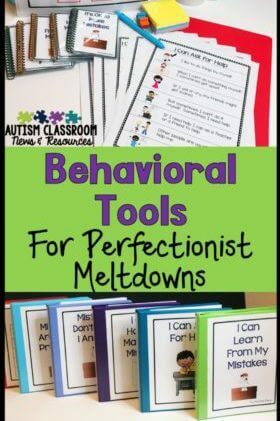 Typically I read through the IEP and highlight anything I need to know about the student (e.g., behavior plan, AAC device, specialized equipment I need to track down). Then I type the goals and objectives into the teaching plan. By doing this, I assure that every goal and objective gets planned for across the day. This is the activity during the day in which the student has the most opportunities to practice the skill. Certainly there are many skills that could be taught throughout the day. However, it’s useful to target specific times of day (at least 2 or 3) that are when you are going to hit that skill hard to create many (at least 5) opportunities for the student to practice the skill and get reinforced for success. This is how people (all people) learn skills and our students need more opportunities for this rather than less. Incidental teaching activities are times when the student uses the skill but you haven’t specifically targeted the skill. These are times that you can incidentally reinforce those requests that Alfred makes with the items he requests to work on generalization. Clearly for requesting, the student could be making requests during all activities of the day. This one is critically important to being able to talk about how you are teaching a skill. 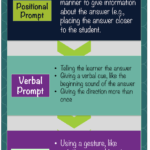 What strategy or curriculum are you using to actually teach the skill (i.e., set up opportunities to use the skill, prompt and fade prompts over time, and reinforce or correct the response you receive–then repeat). This might be discrete trials, or the Picture Exchange Communication System (PECS), or the Touch Math Curriculum. It could be a specific curriculum, like Edmark Reading Level 1. Or it could be an evidence-based instructional strategy. Essentially this is HOW you are going to teach the skill. 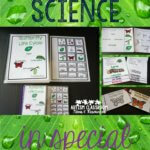 I like to be as specific as possible so that it is easy to pull programs and curriculum materials when I am finished. So if I’m using the STAR curriculum, I will write the lesson number on the teaching plan. This helps make it easy to pull the data sheets and materials when I need them. Clearly sometimes your data collection procedures will be part of your curriculum. For instance, Edmark comes with a tracking system that you use…so if the instructional method is Edmark, the data sheets/system for Edmark will be the data collection system. For others, it might be an individual data sheet focused on PECS use or schedule use. 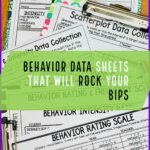 And for others it might be a group data sheet that you are tracking multiple students’ skills in art or snack and taking a sample of the student’s performance in those activities each week. I included this column to write in any notes I need to remember. This helps me know what I need to gather and have available in different places. It also helps remind me if I need to do a reinforcer or preference assessment to determine what items we are going to use as reinforcers or incentives to make requests. Interested in more information about this process? 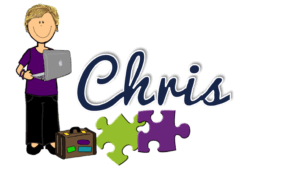 Check out my Scheduling and Teaching Plan Toolkit on TPT. Great post. This couldn’t come at a better time since I’m relocating to a new state, new school, new grade level, new type of class this year! Yikes! I’m feeling a bit overwhelmed but I love the simplicity of your teaching plan and how it’s broken down. Problem is when you are moving into a new district it’s so hard to get your hands on those IEP’s during the summer to start planning. ? I’m stuck until I can see those IEP’s! I hear ya! It is really tough when you can’t get to the IEPs. IS there anyone in your district who can at least tell you about the kids? That might help to get your mind rolling. Is there a link to download the plan form? I would love to use this, it seems a little more user friendly than the CAPS form. Michelle, if you search for teaching plans on the site you might find one. I’m also putting together a manual with forms and a video and instructions in my TPT store and it should be up in a day or so.